"Fill all my holes" is an intimate look into Viveca's struggle with body dysphoria and resulting forms of eating disorder (ED). This show explores the psychological aspects of ED in a transgender individual. As Viveca forced her body into what she perceived as an acceptable female form, she wrestled with an internal desire to be male. Her conflicting perspectives cemented a distorted body image, fueling the ED for nearly a decade. 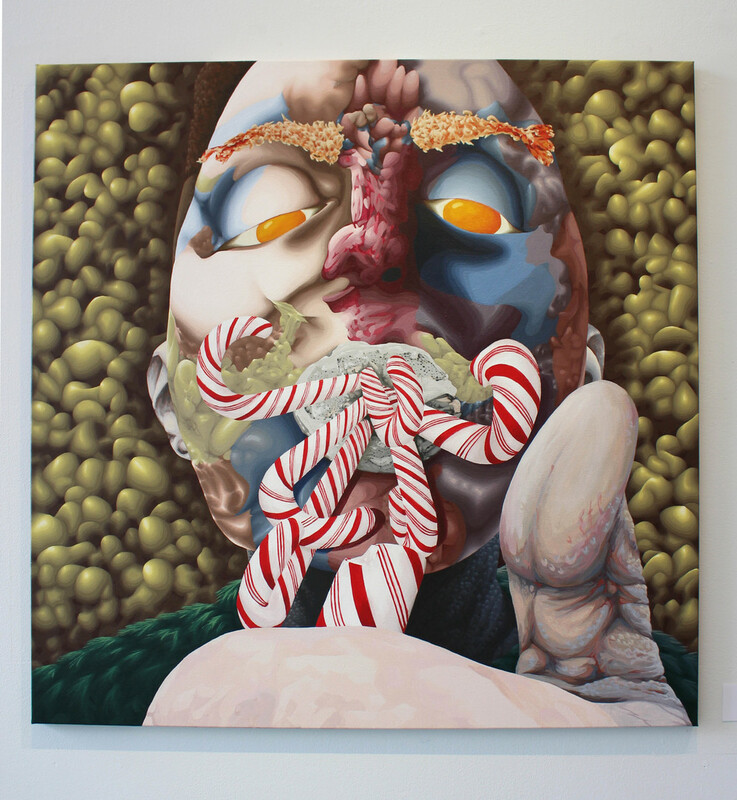 Through a combination of collage technique, high detail, and overwhelming color palates, Viveca invites the viewer into an inner life consumed by gluttony, self-loathing, addiction, and repression. Simultaneously, the use of cartoonish imagery and selected abstraction help to lighten the experience of the thoughts and feelings associated with ED. For Viveca, the world in his paintings is a safe place to regurgitate (pun-intended) food and to ridicule herself and the ED with a sense of humor. Viveca Licata was born in 1989 and raised in the city of Chicago. She received an undergraduate degree from New York University in 2011, majoring in Dramatic Literature and minoring in Studio Art. After graduating, Viveca took a handful of painting courses with faculty and graduate students at the NYU Steinhardt Department of Art to hone his skills. In 2014 he moved to Baltimore to pursue painting full time. Viveca's painting is heavily influenced by her background in theater studies and her childhood love for Japanese animation. 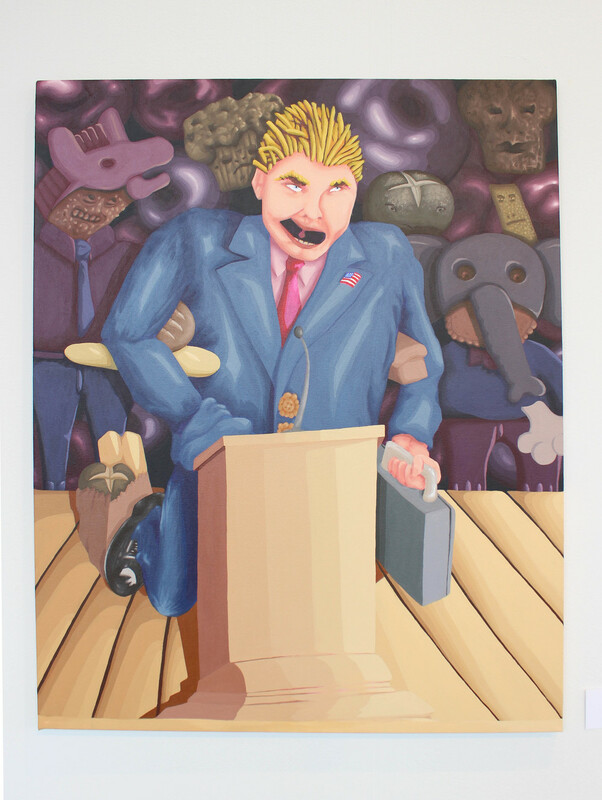 As such, his work carries a strong narrative element and a light-hearted expression of the grotesque. Past and current works are chiefly concerned with an individual's and a society's disordered relationship with food and the body. All works are done exclusively with acrylic paint.